The robust and competitive Singapore taxation has been designed in a manner that defines tax liabilities and dues of all sections of individuals, business entities and others in a transparent way. For instance, Singapore personal income tax structure for local residents and nonresidents Singapore is different. This blog will provide an overview of personal income tax in Singapore. Who is a Singapore Tax Resident? As a part of the taxation Singapore, the personal income tax regime of the nation follows a progressive approach and the tax rates start with 0% and end at 20% above S$320,000. Below stated table will show the tax rates applicable for Singapore tax residents of various income groups. In accordance with the regulations of IRAS, filing of personal tax returns is mandatory if your annual income exceeds S$ 22,000. The person earning below the said amount is not liable for filing tax return. Nevertheless, the exempted taxpayers may still need to file tax return if they have been informed by the tax authority to submit tax return. The last due date for personal tax filing is 15 April of every YA. The tax amount is assessed based on the income earned on the preceding year. There is no doubt that personal tax Singapore policy is progressive in nature and it has successfully been fascinating a large section of foreign professionals to flock to the island nation. This influx indicates that more and more professionals from overseas are interested to take leverage of the attractive Singapore taxation regime. Nonetheless, it can further be minimized with the help of a professional tax firm or individual. 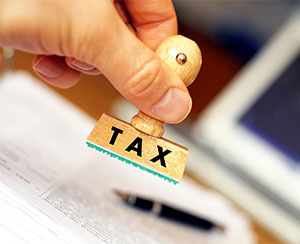 These firms provide turnkey solutions for personal tax services while advising on Singapore tax planning.